I’m Gwen Lewis. I was born in the West Indies but now live in Columbus, GA., USA. I have one adult son and no pets. I have been stitching since elementary school. My cousin taught me surface embroidery on stamped pillow cases. A neighbor introduced me to knitting and I taught myself to crochet and tat. I love found counted cross stitch and fell in love. I’ve also tried my hand at quilting, needlepoint and many other crafts. I started blogging in December 2006. It was my way to journal my stitching. It doesn’t seem possible that my blog has been around that long. Guavas are one of my favorite fruits and I trust that my stitching Gems. I am a hopeless serial starter of projects of all sorts. In addition to counted cross stitch; beading, knitting, crochet and needlepoint are some of the projects can be on my radar. I aspire to be a rotator. I have tried several versions of rotations but I’m lucky if I stick to my plan past 2-3 weeks. I don’t have a favorite designer or style and enjoy samplers, smalls and trying different techniques. Two of the pieces I’m most proud of are the pieces of the trilogy, Gold and Frankincense, Gift of the Magi by Thea Dueck that I stitched and had framed. This is more of a disappointment than a disaster. I have never completed the stitching on the third piece, Gift to the Magi; Myrrh. I have all the supplies to try needlepunch but haven’t tried my first project yet. I really don’t need another obsession. Oh yes, I do. I have several objects that need finishing as well as some projects to be framed. I don’t have a favorite finish. I try to match the finish type to the project. I also like to try different finishing techniques. Some items I keep but I have gifted a lot of the pieces I have finished. I don’t have a project that represents me but I have used one of my projects as an avatar. I’m a really slow stitcher and need to limit my time online so I can get some stitching done. I really enjoy seeing the different projects and variations that stitchers work on and complete. Wish I was able to comment on all of them. Gwen I loved learning more about you and seeing so very many of your pieces too. Lovely to meet you Gwen,I enjoyed reading your answers.Gold and Frankincense are beautiful. 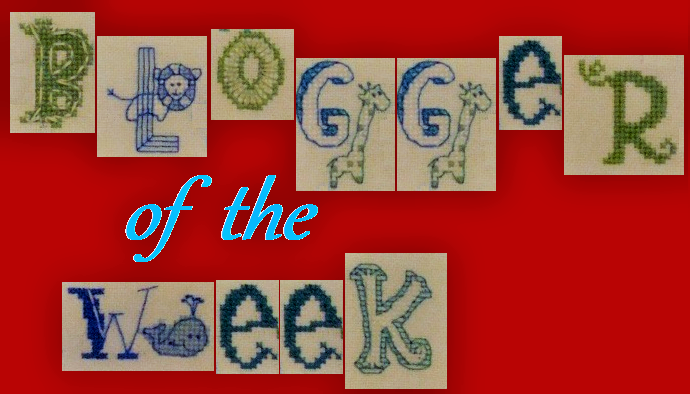 Lovely to read about you Gwen and see more of your beautiful stitching. I love Gold and Frankincense, they are just stunning. You have such beautiful projects !! It was lovely to meet you and I love all of your projects. I have subscribed to your blog and look forward to taking a look around. Howdy, nice to meet you~ :) The Gifts of the Magi are simply stunning! I hope you someday finish Myrrh to have the full set. I understand totally about the "slow" stitching too. Hi Gwen, the Magi gifts are outstandingly beautiful and hope you can finish the 3rd, perhaps the perfect project for after Christmas. I love Guava too. Very nice to meet you Gwen. Your stitching is beautiful and your Gifts of the Magi are amazing! I do hope you get to finish Myrrh soon. Hi Gwen, nice to meet you! Nice meeting you!Happy new year!AriadnefromGreece!